Abe Cohen Plumbing and Heating Inc. is who you need to call for sump pumps in industrial buildings in Ahuntsic, Baie D'Urfe, Beaconsfield, Bord du Lac, Cote St-Luc, Dollard des Ormeaux, Dorval, Downtown, Hampstead, Ile Bizard, Lachine, Lacey Green, Lakeshore, LaSalle, Laval, Mile End, Montreal West, NDG, Nouveaux St. Laurent, Nun's Island, Old Montreal, Outremont, Pierrefonds, Plateau, Pointe Claire, Pointe St. Charles, Roxboro, Ste-Genevieve, St. Henri, Town of Mount Royal, Verdun, Ville St. Laurent, West Island, Westpark, Westmount. Often in industrial installations, a duplex pump system is used. 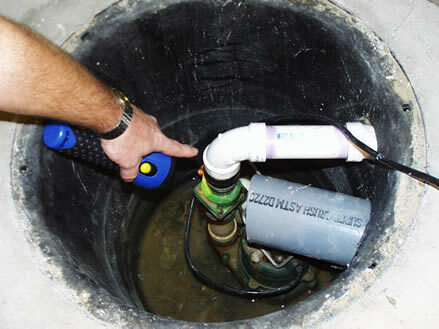 A pair of sump pumps are operated by a control panel that operates the two pumps alternately so that both pumps are used frequently, which reduces the likelihood of a pump failing from lack of use. In the event that the water level is too high, it runs both pumps simultaneously. A high-water alarm can also be connected to this system.